2 1/2 miles Benque Viejo Road, Cayo, Belize, C.A. We offer group rates per-person and are most convenient for research teams, service learning groups, and general gap-year groups on long-term stays or for short term group stays. We will be more than happy to customize a group package for you, including meals, transportation or any additional service that you may require. 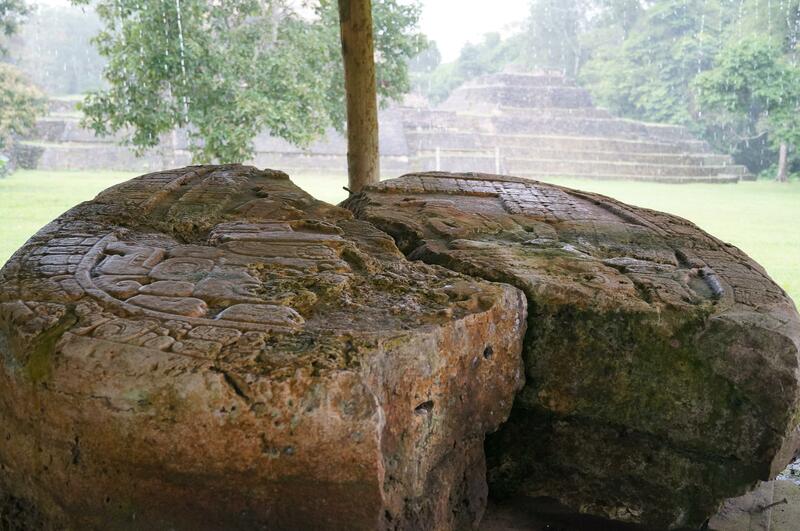 A journey to the Caracol Maya Ruins takes you into the sleeping & burial grounds of ancient Maya royalty. Close your eyes in the ball court as you imagine a fierce tournament of Pokatok, & climb the tallest man-made structure in the entire country – the temple of Caana. 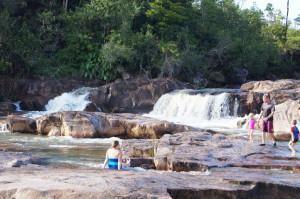 Your adventure begins at 7:30 AM with a 2 hours drive on a wildlife-rich road through the Mountain Pine Ridge. Many claim to have seen jaguars & tapirs on the way. The road to Caracol is an adventure in its own! 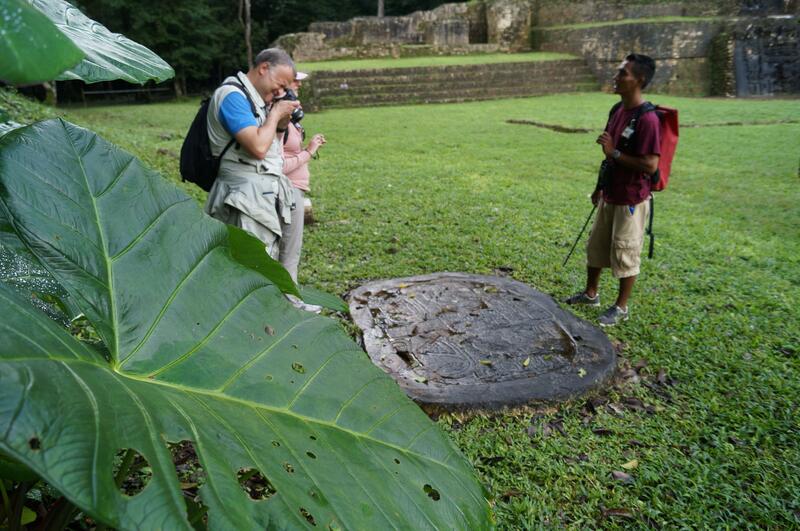 Upon arrival at the Caracol Maya Ruins, your guide explains it’s history as he walks you through historical pictures & findings at the on-site museum. 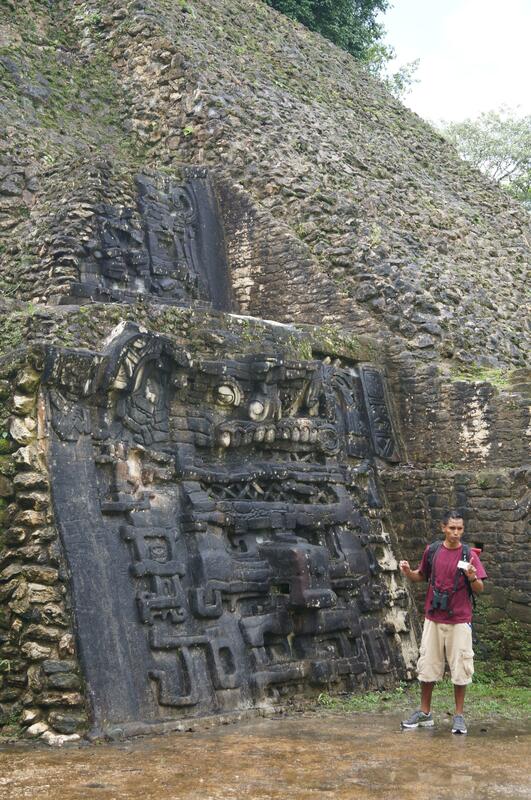 Thereafter, its off to explore the ancient temples! End your Caracol Maya Ruins tour with a refreshing dip at the Rio On Pools. Try to contain your excitement & listen to your guide while he explains the various structures’ purposes & the stories in the several stelas. Feel free to climb to the very top of Caana, the tallest temple. You’ll certainly be awestruck! When our exploration is done, we head to the park entrance where lunch is served. We then head back into the Mountain Pine Ridge with the option of stopping for a refreshing dip at the Rio On Pools or Big Rock Falls. This is an all-day tour and we return to San Ignacio around 4:30pm – 5:00pm or depending on time spent at Rio On pools or Big Rock Falls. What to Bring: Sunscreen, sunglasses, solid hiking shoes, bug repellent, bathing suit/ change of clothes, camera, hat, water. Note: This is an all-day tour that involves several hours of driving on a back road to the site. 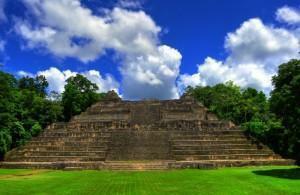 Upon arrival at Caracol, light physical activity will be required for those who wish to explore the Mayan ruins on foot. Please wear appropriate walking & climbing shoes.This tour is suitable for all ages.